This past November marked the 20th anniversary of the assassination of Israeli Prime Minister Yitzhak Rabin in Tel Aviv. I clearly remember the night he was killed because I was living and working in Tel Aviv at the time. I had nearly attended the rally where Rabin was murdered, but because I hadn't been able to find any fellow travellers to accompany me, I spent most of the evening pouring beer down my neck instead. When I stumbled back to the hostel where I was staying later that night, a group of friends and I heard the news from a radio at the front desk. It was interesting to watch Israelis react to the news in the coming days and weeks. About a month later, I left Israel, but I had already made plans to return after I finished working for the winter at a ski resort in Switzerland. I returned on schedule, albeit on crutches, and stayed in Israel for another year. Israel fascinated me more than any of the other countries I had visited in the previous year of backpacking around Europe. The weather, the history and the beautiful women were aspects that made it a popular destination for backpackers. But part of the appeal was also the fact that backpackers could stay for relatively long stretches and could easily find work. I kept a fairly regular travel journal at the time, and I intended to write a book about my experiences in Israel as soon as I had the time. Twenty years later, I've finally put in the necessary hours. 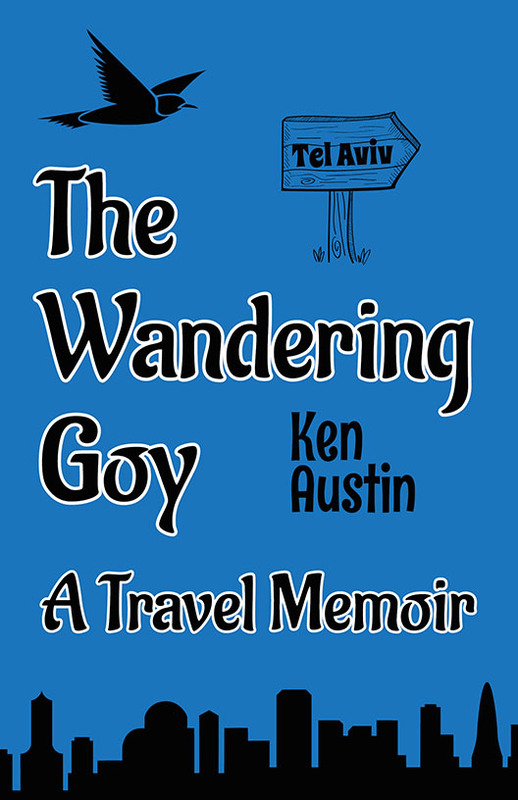 The result is The Wandering Goy: A Travel Memoir. Combining the observations I wrote down 20 years ago with the two-decade-old memories that are still knocking around in my head and a much different way of looking at the world resulted in some interesting writing sessions. Just how accurate are my memories after 20 years? Hard to say. But after scanning the notes, mini-essays and page-long rants from all those years ago, I found that many of the tales that I had remembered and re-told numerous times matched up fairly accurately with what I had written down. 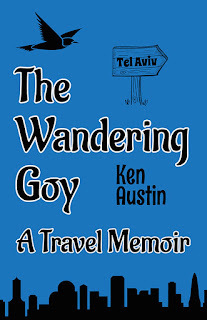 Although I wrote the beginnings of what would become The Wandering Goy while I was in Israel and kept the notes for years (I transferred them to digital form about ten years ago), I don't have a single photograph from that time. That was just before inexpensive digital cameras became ubiquitous. I bought a handful of disposable cameras while I was there, but I have no idea if the photos I took survived, or if they did, where they are. Of course, the fact that I never got it together to photograph some of the amazing sights in Israel really had nothing to do with the availability of cameras. It's a testament to my feckless, come-what-may lifestyle at the time. So it's kind of appropriate that the only lasting memories of those wild, out-of-control days I spent in Israel are contained between the covers of The Wandering Goy.